Sikh Research Institute Launches Online Education Platform Featuring Open Access and Unlimited Participation. Sikhia is the result of a lengthy team effort, but just the beginning of a new chapter for SikhRI. Its development arrives at a time when education is changing globally—millions of people worldwide are now studying online, at their own convenience, and that number is rapidly growing. SikhRI envisions online education to be the future source of Sikh knowledge and an essential part of its mission to spread the wisdom of Sikhi to everyone who seeks it. That’s why SikhRI developed Sikhia and engaged the world’s leading professors on the subjects of Sikhi to create their curriculum. Today marks a milestone: the publishing of Sikhia’s very first course, The Grammar of Gurbani. Based on the textbook Guru Granth Sahib – Its Language and Grammar, this course is aimed at giving English speakers a better understanding of the grammar that underpins the composition of the Guru Granth Sahib. An introductory course in the planned language series, The Grammar of Gurbani covers major linguistic elements of the Guru Granth Sahib in the form of video lessons, accompanying reading materials and quizzes, to practice and test acquired skills. All of the courses on Sikhia, including The Grammar of Gurbani, will be completely self-paced, so students of all ages can develop a deeper appreciation of Gurmat and independently experience the Guru’s message. SikhRI also invites Khalsa schools from around the world to enroll their students and give them an opportunity to experience self-directed learning, with certificates awarded upon course completion. Although the course is made affordable, SikhRI is ready to provide need-based financial aid to all deserving students. So take the first step in connecting with the Guru and register for The Grammar of Gurbani. Any inquires related to Sikhia can be sent to [email protected]. 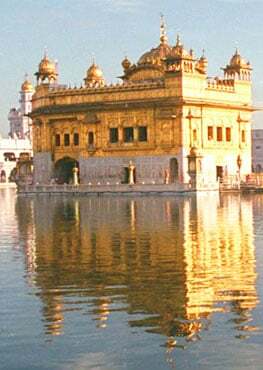 Sikh Research Institute (SikhRI) is a nonprofit organization seeking to create a global awareness of Sikhi, inspire Sikh values and find solutions to the key challenges faced by the Sikh community.